Goodreads: Andy Barber has been an assistant district attorney in his suburban Massachusetts county for more than twenty years. He is respected in his community, tenacious in the courtroom, and happy at home with his wife, Laurie, and son, Jacob. But when a shocking crime shatters their New England town, Andy is blindsided by what happens next: His fourteen-year-old son is charged with the murder of a fellow student.Every parental instinct Andy has rallies to protect his boy. Jacob insists that he is innocent, and Andy believes him. Andy must. He’s his father. But as damning facts and shocking revelations surface, as a marriage threatens to crumble and the trial intensifies, as the crisis reveals how little a father knows about his son, Andy will face a trial of his own between loyalty and justice, between truth and allegation, between a past he's tried to bury and a future he cannot conceive. Kritters Thoughts: Rarely do I read a book right when the hype around it is still going on. After seeing this on NetGalley I just had to pick it up and read it. And I am so thankful I did. A book that is more than a criminal case, it is about the family that is at the heart of the case. A small family unit that is solely made up of mother, father and son that takes quite a hit when a classmate at school is found dead in a local park. The reader is taken behind the scenes and out of the courtroom to their home between the days of the case when it is hard to continue on. I fell in love with this family and was intrigued by the struggle they faced trying to first determine in their own minds if their son was innocent and then defending him to the end. 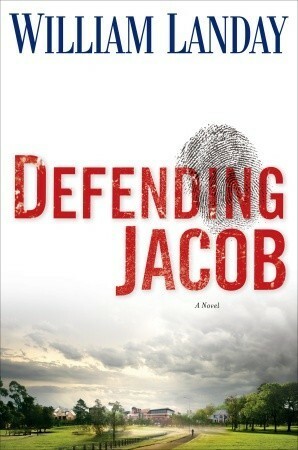 The reader is in the middle of the journey trying to decide if they believe that Jacob is innocent or not. Just when you thought the book was coming to close there were four more chapters that took this story to a whole different level. As I always do, I will not share about the twist ending that takes you completely by surprise and is almost a sucker punch to the gut. Because of this twist ending, this book is a terrific ride to the very last page. This one has definitely had a great start with positive reviews, I have added to Wishlist, sorry I missed it on Netgalley. I was nervous that it had a lot of talk about it before I read it, but man it lived up to all the talk!